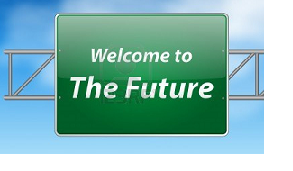 Welcome to pwrup. 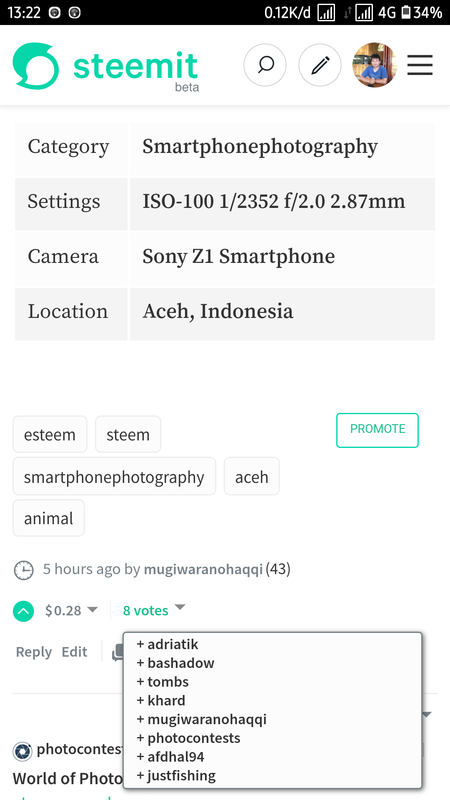 We're a voting bot for your Steem posts. This is a short introductory post. You surely know voting bots. 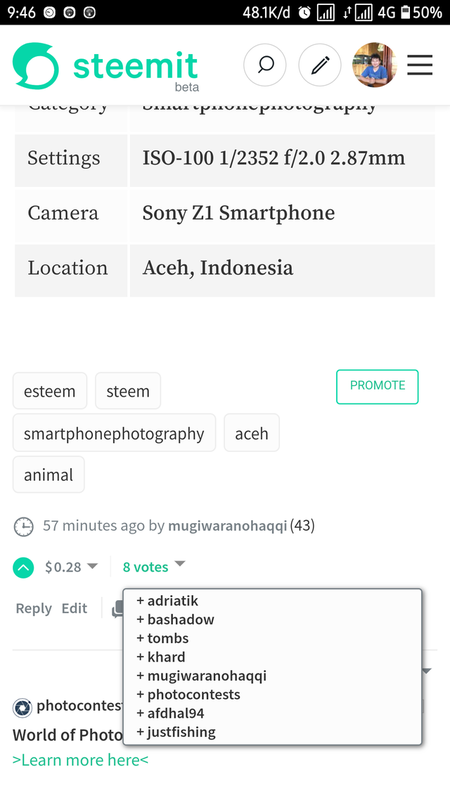 You send Steem or SBD to the bot and get a vote for your post in return. Ideally, this vote will be worth more than what you've paid for the vote. The most common way for voting bots to work is a bidding structure. The bot votes with a 100% vote every 2.4 hours. The 100% will be distributed among the posts that have been bid for in a pro-rata manner. This means if the sum of bids totals to 1 SBD, someone who has sent 0.5 SBD in that bidding round will get a 50% vote from the bot. Why every 2.4 hours? Because 2.4 hours is exactly the time it takes the Voting power of a Steem account to recover from a 100% vote. Thanks to @yabapmatt, you can find a great list of bots at Steem Bot Tracker, where we're also listed. There, you'll also get an indication how much the total votes are worth and how much you can send to still get a profitable vote. We've originally started building @pwrup to get acquainted with the voting mechanisms in Steem, and the precise calculations that are necessary for correct voting. That's why we've developed all software from the ground up instead of using any available alternatives. Therefore, should you experience any issues with the bot, please let us know, e.g. by commenting this post or via Steemit chat. In addition, pwrup allows for delegation investments from any person out there. If you delegate Steem Power to @pwrup, you'll get 90% of your share in the SBD pwrup makes from bids. This means that if you've delegated 1000 SP and the total SP pwrup has is 10,000 SP, then you'll get 0.9*0.1 = 9% of the SBD pwrup generates. Daily. If you want to assess what that means in terms of ROI on your investment, it's honestly hard to tell. It depends on the price development of Steem and SBD, but should be around 20 to 30% annual return. The good thing is, you keep your SP on your account and just need to delegate it. 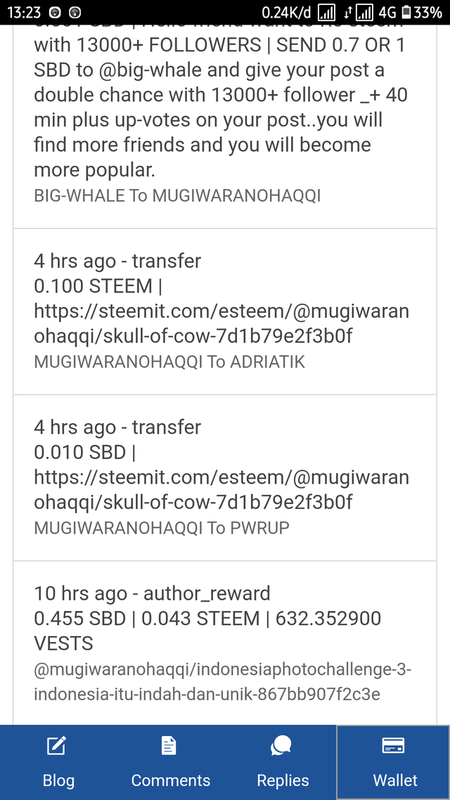 If you want to delegate some SP to @pwrup, the Delegation Manager of Steem Bot Tracker can help again. Just go there, type your Steem user name, click "Load" and wait for your delegations to be displayed. Type "pwrup" in the Delegatee field and the amount of SP you want to delegate. If you've already invested some SP, make sure the amount you type in is the total amount you want to delegate, not the difference between before and after. Upon clickin "Delegate!" 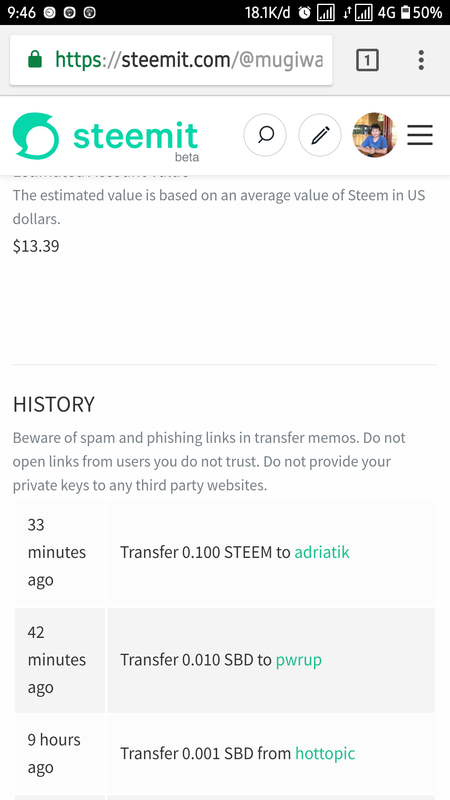 you'll be redirected to Steem Connect where you'll be asked to submit your private active key. Apart from that, we can encourage you to vote for @yabapmatt as a witness. He's a really good guy and does a lot for the Steem ecosystem. We transferred 0.200 SBD to @pwrup for steemit.com/busy/@lazarescu.irinel/a-place-of-fairy-tale-in-romania-with-10-hectares-of-snowdrops but I did not get a vote. Hello @pwrup . Well receive my money with many thanks. I will takecare and make double check in future. Thank you for your kindness. I hope you will refund to my 10 sbd as soon as possible. hello @pwrup . I want to upvote with 0.1 sbd with you. So, I sent 0.1 sbd to you. But I was wrongly with 10 sbd. Please kindly send back to me my 10 sbd. Turning away bad clients can leave you feeling oddly guilty. They’re sort of like alcoholic or meth head cousins who force you, by their own bad behavior into denying them things you wouldn’t deny other people. You’re left feeling not quite yourself. @pwrup Thanks for the refund follow up!! Yesterday evening I used the bot. I paid 0.01. How much time do I have to wait for the upvote? Welcome to Steemit! Look forward to your contributions. Good on you! Congratulations! This post has been upvoted from the communal account, @minnowsupport, by grintsch from the Minnow Support Project. It's a witness project run by aggroed, ausbitbank, teamsteem, theprophet0, someguy123, neoxian, followbtcnews, and netuoso. The goal is to help Steemit grow by supporting Minnows. Please find us at the Peace, Abundance, and Liberty Network (PALnet) Discord Channel. It's a completely public and open space to all members of the Steemit community who voluntarily choose to be there. I dont suppose you could help out a fellow small bot owner. I do t know how to configure the "purple tick" API part for accurate bidding. Can you tell me where you found the info please? If you head over to the Steembottracker Config Page, there is a link to an example output of the api. Just set up a small https server, that serves the current and last bids according to that format and paste the url in the config page as"URL of Bids API"
I transfer to you .018 yesterday and i didn't receive the vote @pwrup i wait but i have been 18 hrs since that and nothing happens.